Click to purchase the new children’s book published by the Water Environment Federation (Alexandria, Va.). 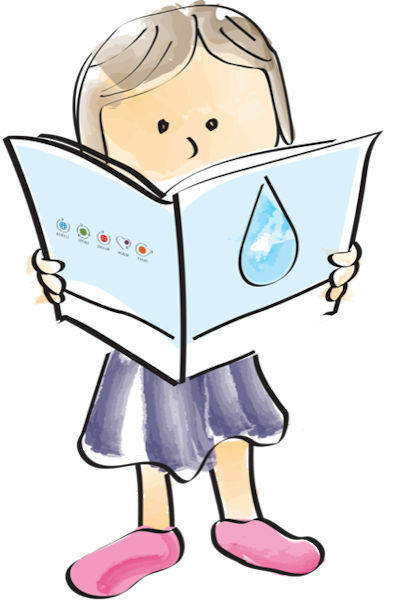 The Water Environment Federation (WEF; Alexandria, Va.) has released its first children’s storybook, Why Water’s Worth It. This highly anticipated book came from the positive response to the public service announcement video that was released last October as part of the WATER’S WORTH IT® campaign relaunch. Similar to the video, this fun and engaging educational book features a little girl with a big story to tell. With her nose buried in her book, she guides readers through the world of clean water, how it’s managed, and the importance of everyone working together to protect it. Written for 4- to 8-year-olds but appealing to readers of all ages, WEF uses rhyming text and more than 40 original, hand-drawn illustrations to present a simple explanation of a complex process. The story encourages personal responsibility and thoughtful, “green” choices. To help small hands become big heroes, the book also includes a list of ways to make a difference and cool facts to explain why WATER’S WORTH IT. Give the book as a special gift; add it to your home library; donate it to a school or library; or use it as an outreach tool for facility tours, classroom presentations, and at water awareness events and activities such as World Water Day, Earth Day, and World Toilet Day. Parents, teachers, and water professionals around the world can use this story to empower the next generation of water protectors. The print-on-demand, high-quality paperback can be purchased as a single order or at a bulk discount directly through www.e-WEF.org. You can also purchase the book as well as other campaign merchandise such as t-shirts and reusable water bottles at www.WEFMarketplace.org. 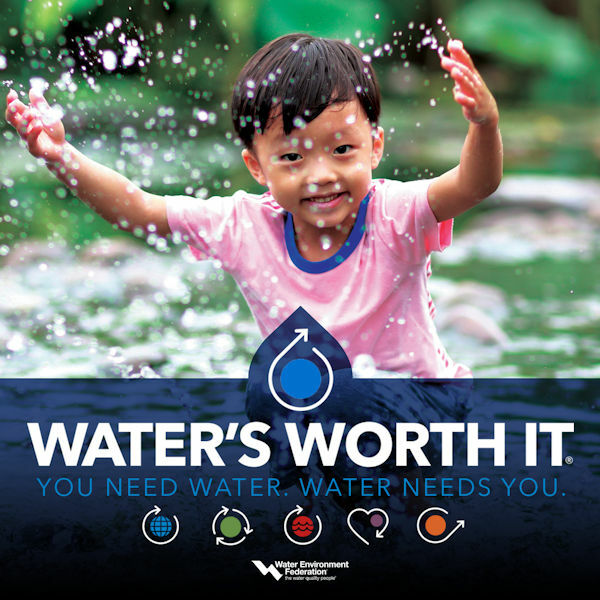 Learn more about the campaign and download such free resources as the video below, fact sheets, and social media graphics at www.WatersWorthIt.org.